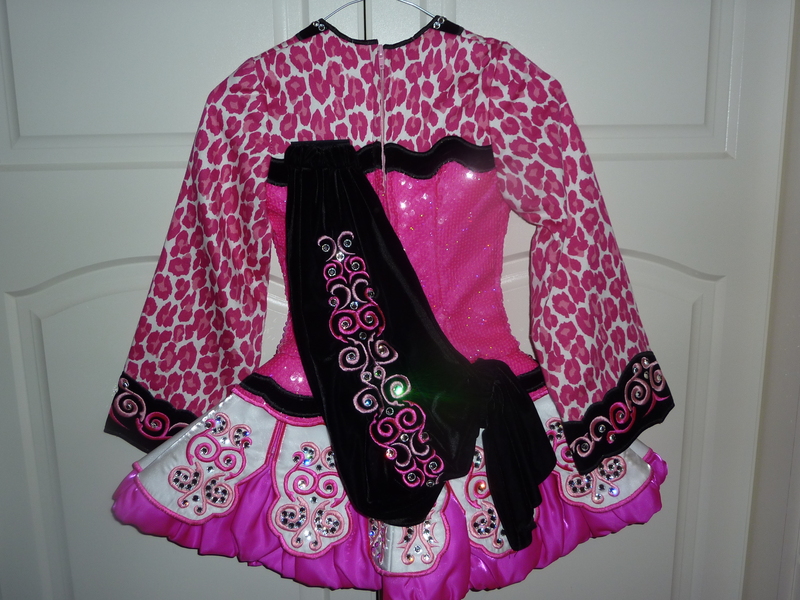 Siopa Rince dress to fit slim 8 – 10 year old. Has only been worn 5 times due to growth spurt. 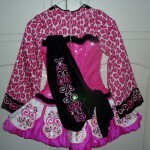 The dress is extremely eyecatching on stage with its glittering hot pink sequinned bodice and animal print sleeves. 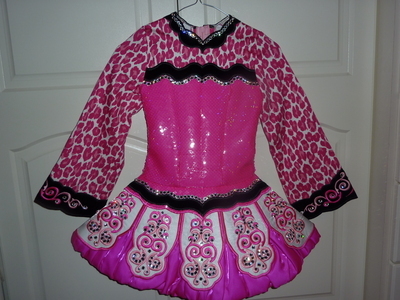 Puff skirt is ovelaid with panels and dress is studded with swarovski crystals. Let out room on zip and side seams.